Own 126 acres of Life Farm Life''. This farm is active with produce and Cattle a new adventure. 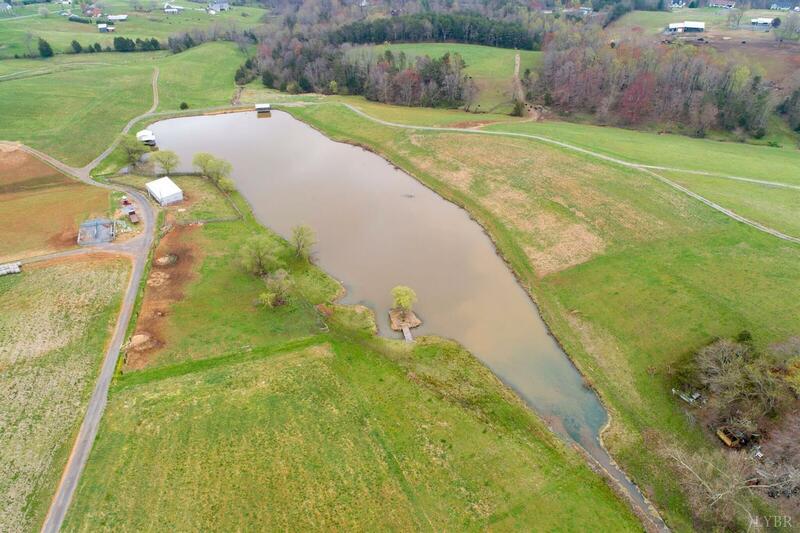 Come out and enjoy the beautiful views, the 4 acres pond, the fully irrigated fields and the thousands of feet of streams. The pond is stocked and regularly fished. There are 3 additional wells and 3 additional septic systems on the farm. The home boasts lots of open living space. You will love the open fire places and extra kitchen and full bath in basement. You are located just minutes from Roanoke, Bedford and SML. The farmer in you will love all the buildings on the property including the 54' x 120' covered pavilion. Great location for Farming, Agro tourism, and destination location. Also Includes parcel # 179A53C.